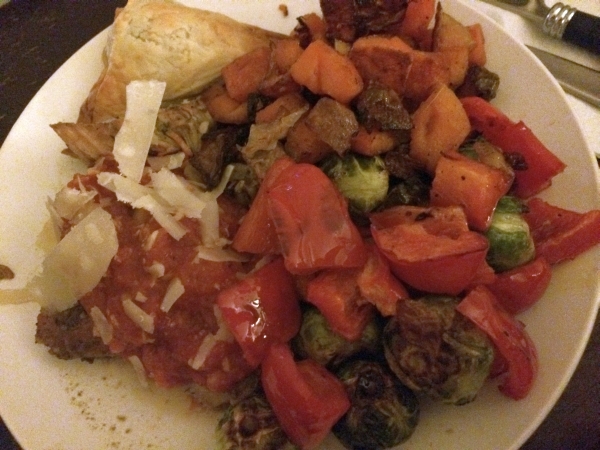 I didn’t always care for Brussels Sprouts growing up. 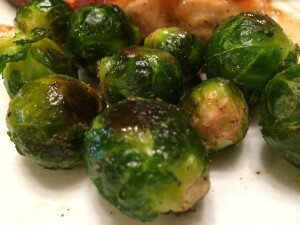 In recent years, I’ve found that simply roasted these little bites provide a really flavorful addition to a meal. It is important not to overcook them because not only do they lose their nutritional value and taste but they can begin to emit the unpleasant sulfur smell, which is the part I think most people don’t care for. After reading that these little gems are high in protein and can provide cholesterol-lowering health benefits, I’ve been adding them into our diet! I’ve even gotten Bill to eat them! I’ve learned that they contain glucosinolate, which are important phytonutrients for our health because they are the chemical starting points for a variety of cancer-protective substances. Costco has had some small little ones in stock recently and I really like the flavor and texture of not having to cut them like I would the larger ones. 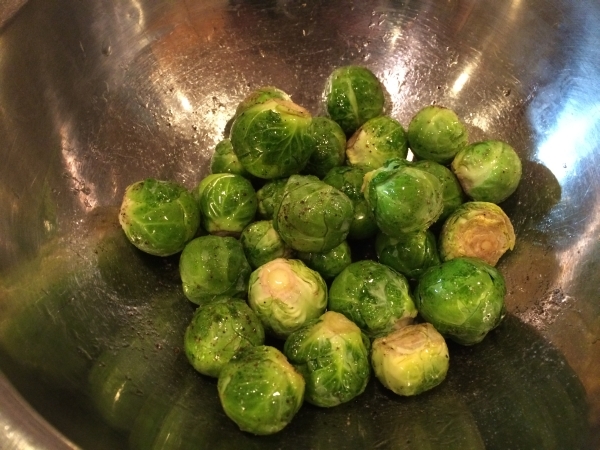 Cut off the ends of the brussels sprouts that may have browned and remove the outer leaves. In a small bowl, toss them with the olive oil, salt and pepper. 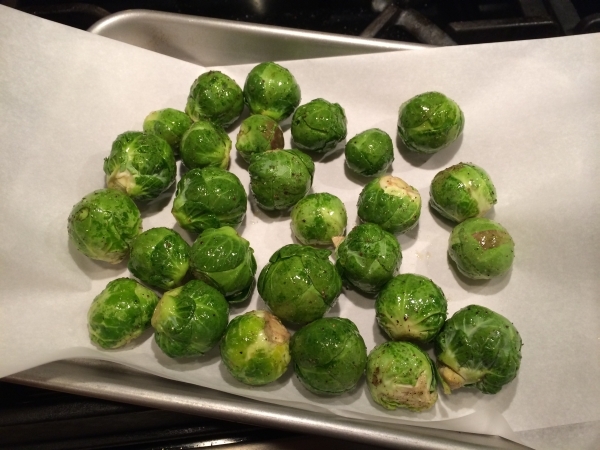 Line a cookie sheet with parchment paper and place the sprouts evenly on the pan and roast for 35 to 40 minutes. 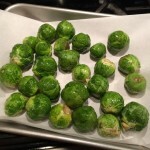 Roll the sprouts by shaking the pan from time to time to brown the sprouts evenly. Taste and cook until crisp on the outside and tender on the inside, to your liking. Serve immediately. 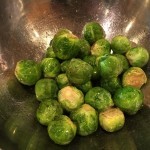 We enjoyed these as a simple side dish along salmon and spinach souffle. The wine was a delicious Kennedy Shah, Merlot and below, they were served combined with roasted butternut squash, onions and red pepper. 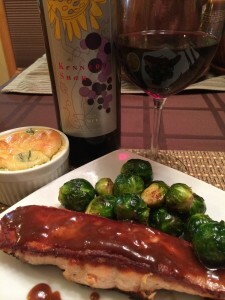 A delicious combination!